Say what you've always wanted to say, no strings attached. Lots of people get stressed about what they say - and don't say - to others. Why not try it out first? 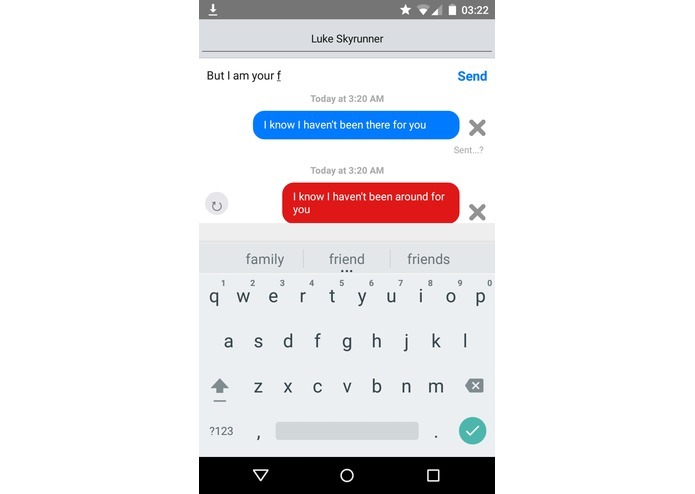 Lets you practice writing messages, delete them, retry, and actually send the ones you like. Using React Native for Android, forked react-native-gifted-messenger and used react-native-send-intent. First time using react and a lack of material on using react native for Android. More polish and Android release, possibly iOS release.